Some of the 20,732 fans at the 1982 VFA Grand Final. The donut van would have been busy! Port Melbourne won three VFA flags in a row from 1980 to 1982. 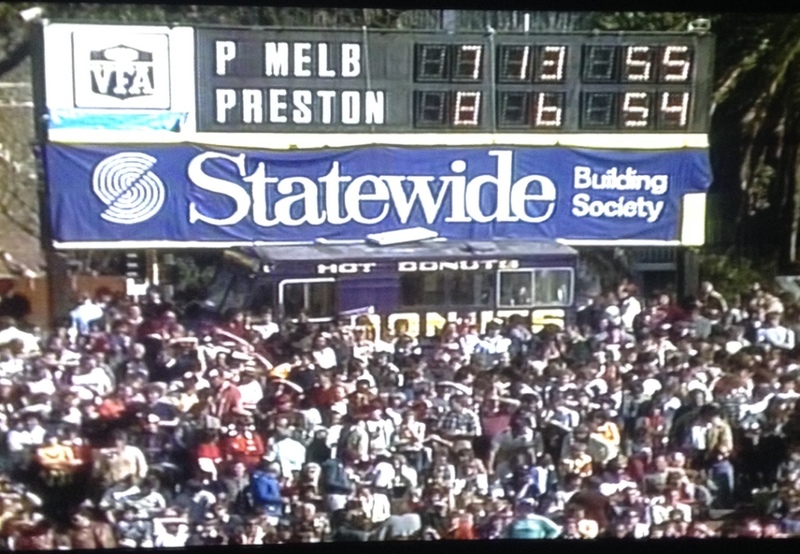 Here at Scoreboard Pressure we’re guessing the score in the photo above is 1/4 time, or early the second quarter. 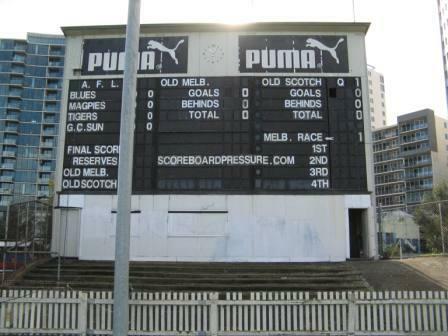 The digital scoreboard was behind the goals at the Fitzroy St end of the ground. Anyone know if the traditional scoreboard was working that day? We presume so, but you never know. Here’s a photo from just a few years ago.